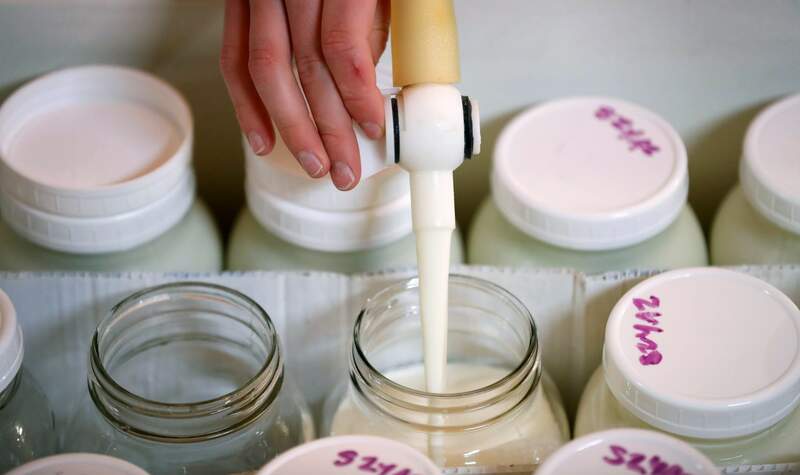 Rachel Moser pours raw milk into a container on her Be Whole Again Farm in Excelsior Springs, Mo. It is illegal to sell raw milk for human consumption in Delaware, Hawaii, Iowa, Louisiana, Montana, Nevada, New Jersey and Rhode Island, but local food groups, organic farming advocates and libertarians opposing government regulation are fighting to change that. 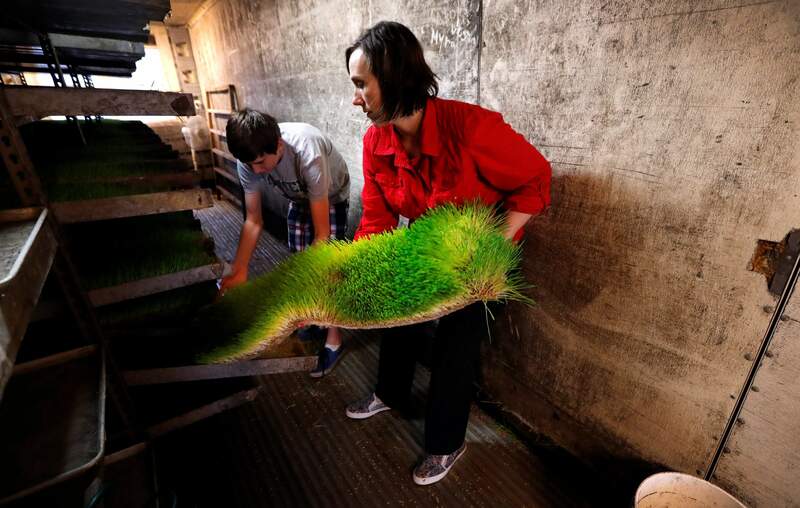 Rachel Moser gets help from her son Zachary, left, as she moves sprouted barley grass that will be fed to the cows on her Be Whole Again Farm in Excelsior Springs, Mo. Raw milk advocates have succeeded at legalizing raw milk sales in some form in 42 states and wont rest until all states allow it. Zachary Moser fills bottles with raw milk on his parents’ Be Whole Again Farm in Excelsior Springs, Mo. Rachel Moser, right, bottles raw milk with her son Zachary, left, and daughter Myra, center, on her Be Whole Again Farm in Excelsior Springs, Mo. 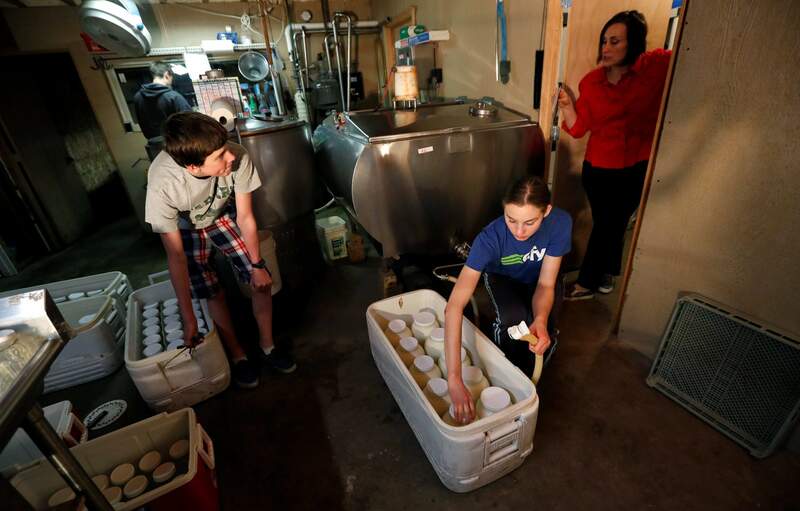 DES MOINES, Iowa – Raw milk advocates’ efforts to expand availability across the U.S. have not slowed despite health officials’ assertions that it’s dangerous to drink milk that hasn’t been heated to kill bacteria. The CDC warns against drinking raw milk, especially by children under age 5, older adults, pregnant women and people with weakened immune systems. Illnesses are most commonly caused by bacteria, including campylobacter, E coli and salmonella, and the microscopic parasite cryptosporidium. 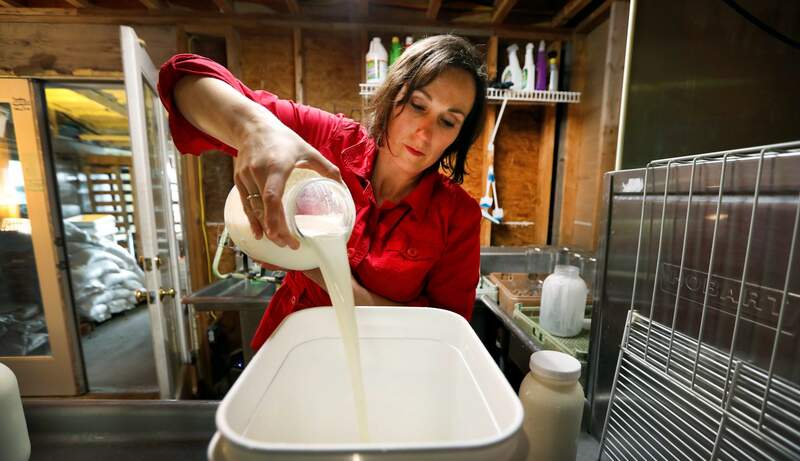 Rachel Moser, who runs Be Whole Again Family Farm with her husband, Scott Moser, north of Kansas City, Missouri, said many of her customers drive up to three hours from Iowa, which prohibits raw milk sales.